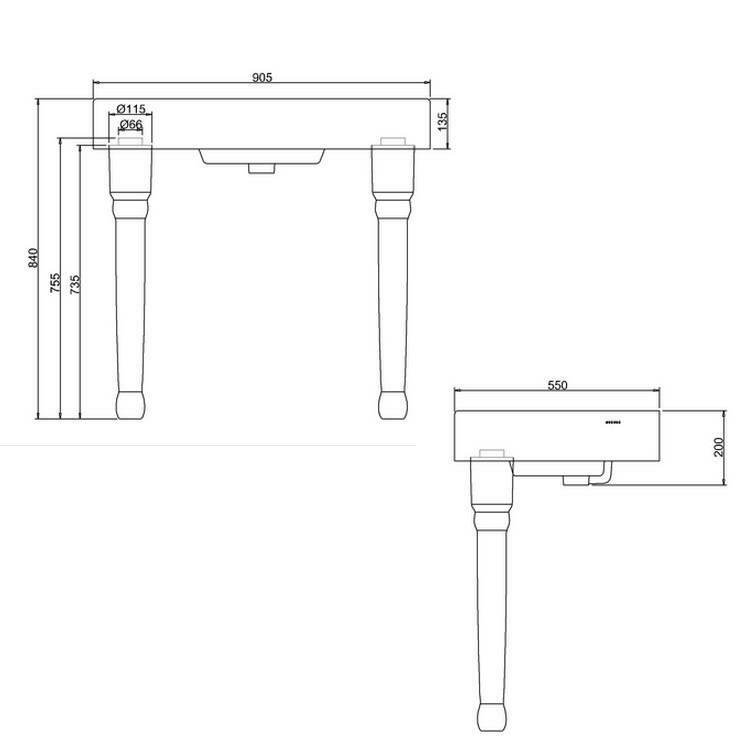 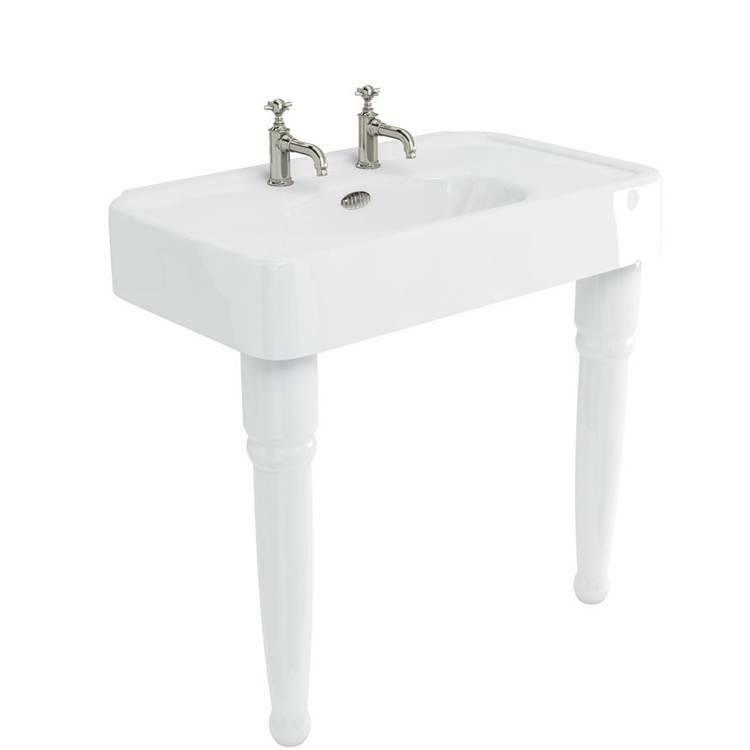 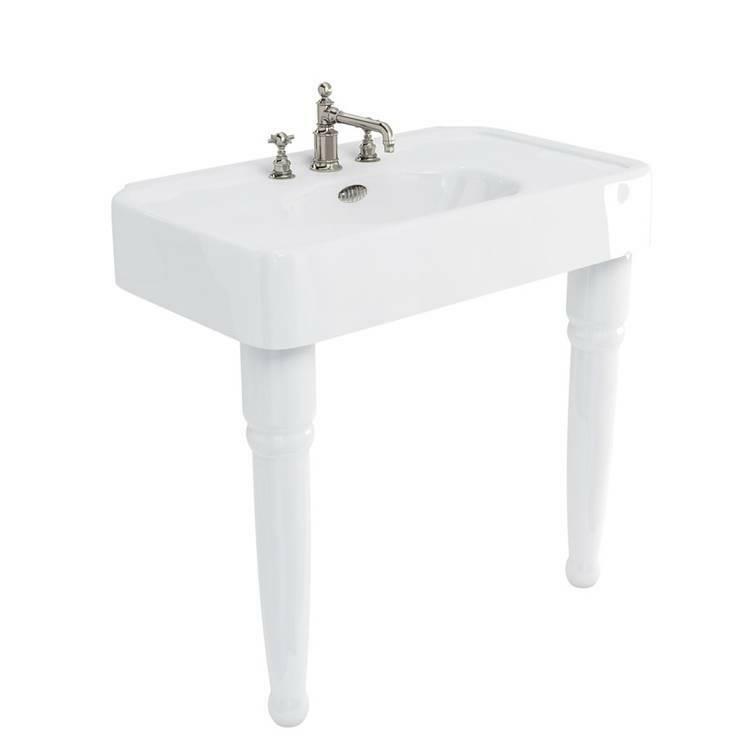 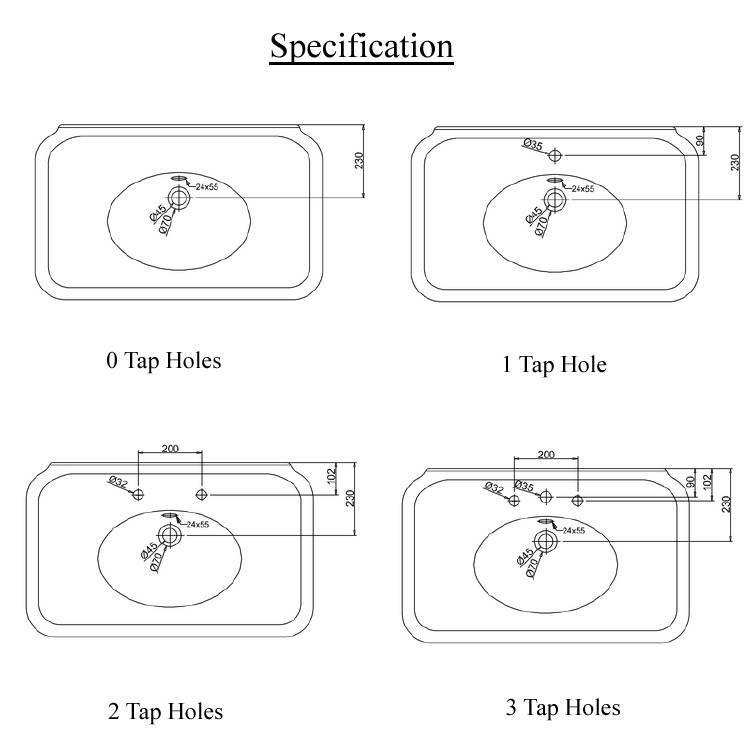 Arcade 900mm Console Basin With Ceramic Legs. 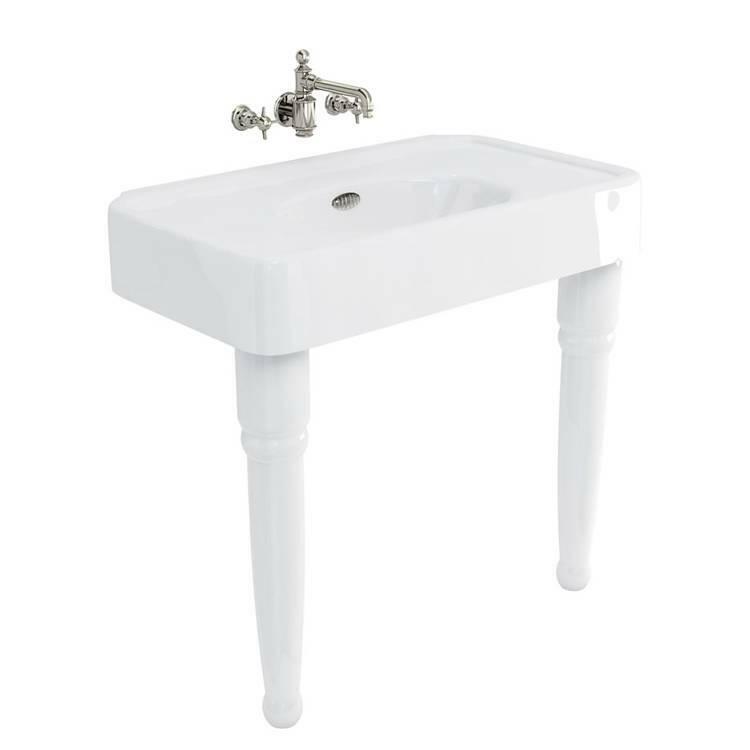 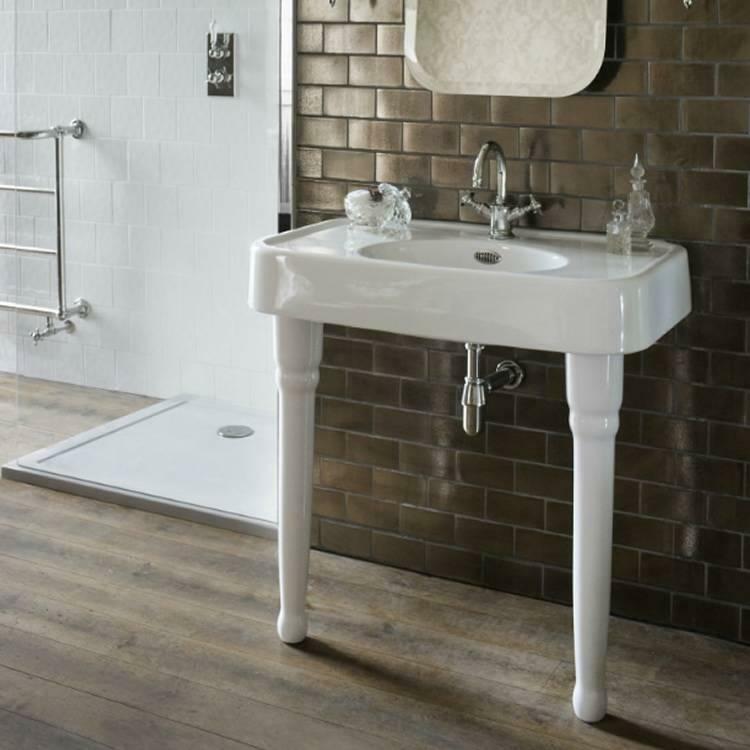 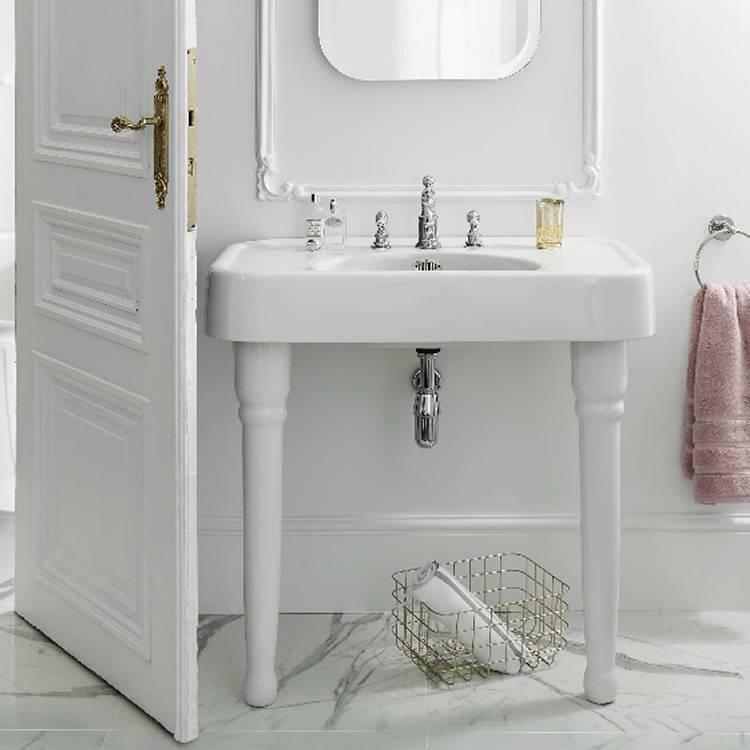 The Arcade 900mm Console Basin With Ceramic Legs features a beautiful decadent design which will be at home in any period styled bathroom. 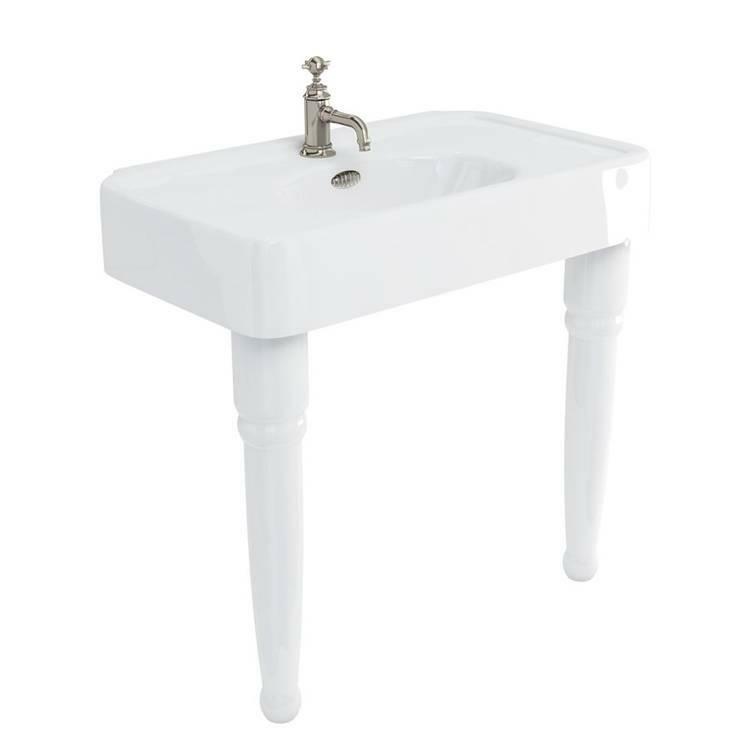 The crafted ceramic legs add an elegant and traditional touch.